Cosmetic Laser Solutions SA is now stocking a high quality range of natural mineral make-up, DermaMinerals™ from DermaQuest. Combining good-for-your-skin elements with premium, long-wearing natural minerals, DermaMinerals™ is a complete line of high-quality, luxury mineral make-up that makes skin look and feel healthy and radiant. An extension of DermaQuest’s skincare line and designed to optimize a healthy skincare regimen, the DermaMinerals™ line is free of talcs, synthetic dyes, artificial fragrance, and parabens, and is packed full of premium, triple-milled pure minerals. DermaQuest’s unique long-lasting liquid mineral foundation SPF 30 delivers the perfect amount of coverage, giving skin a smooth, even finish, without weighing it down or clogging pores. 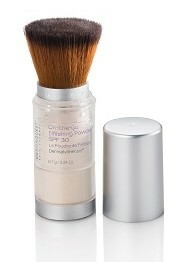 DermaQuest’s On-the-Go Finishing Powder SPF 30 covers shiny areas with mattifying minerals for a flawless, shine free look. It’s easy to use, with a built-in, shed-free brush applicator. 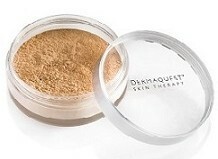 DermaQuest’s Pressed Mineral Powder SPF 15 allows you to create the perfect canvas for the rest of your make-up regime. Suitable for normal to oily skin. Build your perfect complexion. 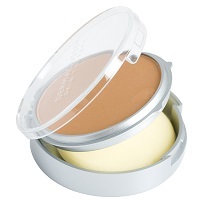 DermaQuest’s Loose Mineral Powder SPF 20, a triple milled, ultra-fine formula, allows you to create the perfect canvas for the rest of your makeup regimen.